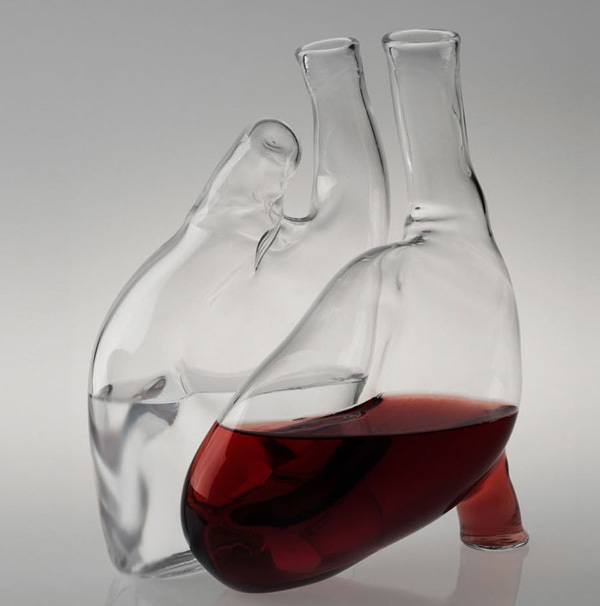 What will surely be a big hit in the Vampire Wino community, Italian designer Liviana Osti’s Cuore is actually a fascinating, yet eerie symbol of just how fragile the human body is. 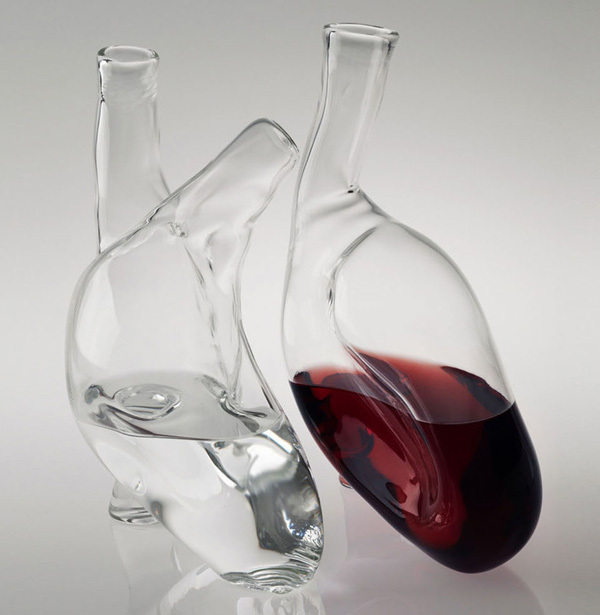 Granted, it’s an ironic piece of working art considering the use for the heart shaped object: Osti designed the carafe in the form of a human heart as a way to address the prevention of diseases associated with the heart. In Osti’s words, “In order to prevent cardiovascular and blood pressure diseases we have to start with the root of the problem, our daily consume of food and beverage.” That message is good and all, but really we see this as being a big hit with the necromancer/True Blood crowd, along with a good mount of Twilight fans thrown in for good measure… if they were old enough to drink, of course. They’d definitely enjoy their time sipping on some Pinot Noir decanted in such a container. 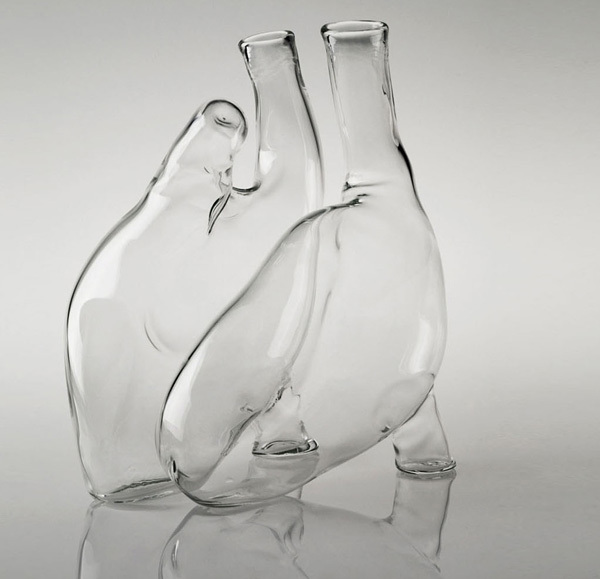 By the way, the Cuore is actually comprised of two glass carafes shaping a human heart when joined together.